Established in 1840, Antoine’s is the oldest restaurant in New Orleans. Among the country’s most famous restaurants, Antoine's known as the birthplace of Oysters Rockefeller. Their wine cellar is 165 feet long, seven feet wide, and can hold 25,000 bottles. They have three private dining rooms named after carnival krewes. This literary-inspired spot serves food and drink that pays homage to famous authors. Their “Death in the Afternoon” is a cocktail of champagne and absinthe invented by Ernest Hemingway. They serve some of the best classic and Prohibition-era cocktails in the city. They have their own “muse” named Veronika; she’s a reader, writer, and a scholar. Their Backspace Burger is one of the best burgers in the Quarter. Bennachin has been serving great African food for 25 years. This small and comfortable eatery offers a cozy, intimate atmosphere. Located on the edge of the French Quarter, they offer a BYOB policy. Their West African fare also includes vegetarian and vegan options. Look for them at Jazz Fest’s Congo Square next year. The café is named after Amelie Miltonberger, mother of the first American Princess of Monaco. The café is located in the townhouse where the princess was raised in the 1860s. Their courtyard is reputed to be the most beautiful and romantic in the French Quarter. Enjoy brunch on Saturdays and Sundays with their “Courtyard Cocktail,” which changes seasonally. Save room for dessert, and try their famous doberge cake. The Crazy Lobster is a Cajun-style restaurant serving every type of seafood imaginable. Besides lobster, the crab legs are one of their specialties. Their signature drinks come in a take-home souvenir glass. They are located on the water and have a huge patio for outdoor seating. They serve different variations of Hurricanes, labeled category one to five. Crescent City Brewhouse became New Orleans’s first brewpub in 1991. The brewery’s building dates to the 1700s; it used to be a two-story, 14-room house. The property served as a private residence until 1916, when it began to be used for fur processing. Their 17-barrel brewery is a combination of Old World values and modern technology. They are a past recipient of the Vieux Carré City Council Award. Effervescence is a wonderful champagne bar, perfect for that special date. Their slogan is “bubbles and bites,” and the kitchen features wonderful small plates. Effervescence was created by Crystal Coco Hinds, sister of NOLA Brewing founder Kirk Coco. They offer 18 sparkling wines by the glass from around the world, including Italian proseccos. 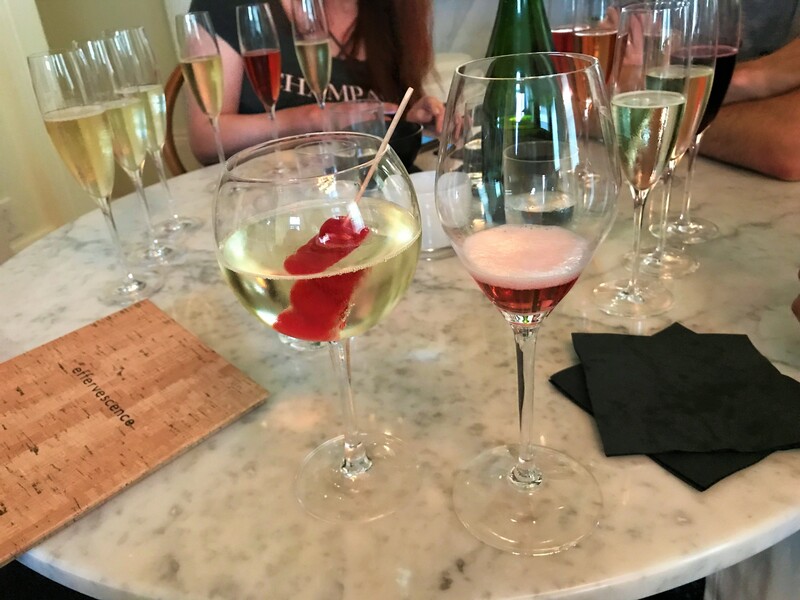 Try one of their flights, that includes a tasting of three sparkling wines. Besides being an established music venue, House of Blues is also home to the restaurant Crossroads. The menu is a mix of regional and international cuisine created by chefs across America. Grab dinner before a concert and receive early entry into the show. Their Happy Hour includes offerings such as a $5 quesadilla and waffle-battered chicken skewers. They also have daily drink specials, like $3 craft beer on Tuesday. 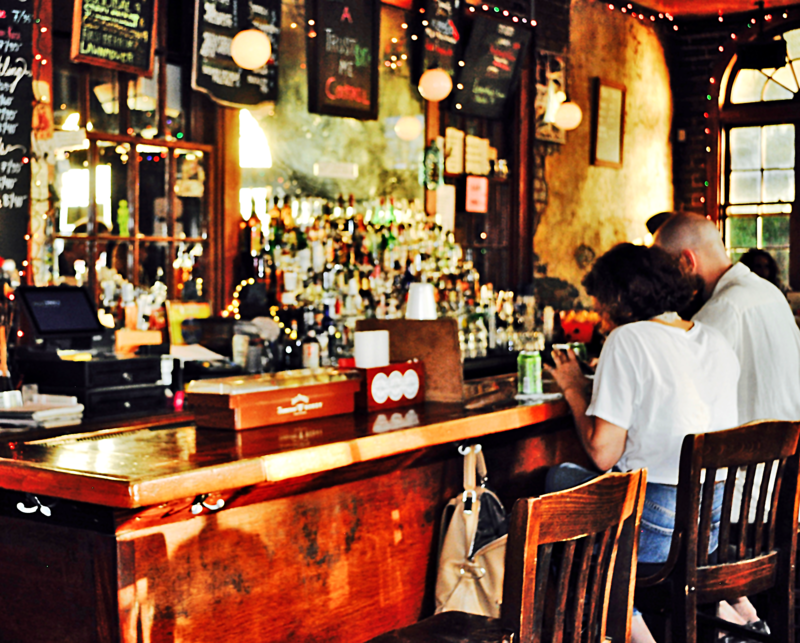 The Jimani is a legendary French Quarter bar established in 1972. They offer a selection of over 100 different beers, many on draft. Open WAY LATE, Jimani is the top place to end your night. One of the best French Quarter places to grab a bucket of beers and watch the big game! Besides cold beer, they also serve a killer burger and crawfish pasta. This colorful French Quarter café is a popular breakfast destination. Jimmy J’s Café offers a selection of weekly specials and deals, like their pancakes of the day. Are you Downtown right now? Call ahead and wait in bed. They deliver! Their big flavors can create lines, but it’s worth the wait! They offer traditional Creole cooking in a beautiful atmosphere, including outdoor courtyard seating. They feature seafood—both fresh boiled and fried—an oyster bar, and strong drinks. Their Happy Hour features $.50 raw oysters and $1 chargrilled. Their menu features classics such as Shrimp Creole and Gumbo Served Three Ways. The space is rumored to be haunted by a merchant named Joseph Bapentier, who died in 1806. Not for nothing, the lines down the block prove that Oceana Grill is a favorite. They are one of the few restaurants in the Quarter to serve a full menu until 1 a.m.
Their crab cakes and gumbo are legendary as some of the best in the city. In addition to seven dining rooms, they have a large courtyard for outdoor seating. Drake and Lil Wayne are among the famous clientele at this celebrity hotspot. The Ole Saint is owned by former Ole Miss and Saints running back Deuce McAllister. The staff at Ole Saint is known for to be some of the friendliest in town. Ole Saint features Deuce's football memorabilia as decor and serves Southern coastal cuisine. They have an extensive selection of national and local beers, offering over 50 draughts. Try their famed Crab Maison BLT, Southern Catfish, or Southern-Style Prime Pork Chop. Orleans Grapevine features over 65 wines by the glass. Don’t miss their famous Bacon Happy Hour … free bacon! The courtyard is a great spot to enjoy the cooler weather. The wine flights allow you to sample three glasses at once. You can’t go wrong with their double-cut pork chops with crawfish sausage. Petite Amelie is an extension of Café Amelie, located down the street. The café specializes in “cuisine rapide” with dine-in and grab-and-go options. The cases of prepared foods ranging from salads to entrees rotate daily. Their chocolate croissants and eclairs are some of the city’s best traditional French pastries. They have farm-to-pantry items to purchase such as candies, locally-sourced jams, sauces, and more! Rick’s Sporting Saloon is described as the ultimate “man cave” on Bourbon Street. This bar is a sport-lover’s dream with 11 screens and a 92-inch big screen. Their Saloon Burger is an eight-ounce short rib, brisket, and chuck-blended beef patty. Their weekly specials include $2 tacos and $5 margaritas on Tuesdays. Sushi restaurant Kyoto II can be found in Elmwood near the AMC Theatres. Their sushi rolls can be made with brown rice or no rice, upon request. Their udon soup and tempura are a must-try on a cold autumn day. They boast a large selection of beers and sake, perfect to share with a group. Check out the specials board for fish like sea urchin, king salmon, and giant clam. Poppa’s Poor Boys is a low-key deli and seafood restaurant in Old Jefferson. All their seafood is fresh from the fish market next door. They are the perfect lunch spot, offering generous portions at an affordable price. Don’t miss their fantastic boiled seafood to start off any meal. House specialties are garlic-stuffed roast beef and homestyle spaghetti and meatballs. Part music venue, neighborhood bar, and restaurant, Rivershack Tavern has it all. Bring in a tacky ashtray—the tackier the better—and exchange it for a free drink. Their kitchen is open late, and the seafood platter includes gator sausage. They host live music nearly nightly, spanning the genres of rock, blues, jazz, and funk. Sala is a small-plate restaurant located in West End. Initially only open for dinner, Sala has extended their hours to include brunch. They are owned by the Riccobono family, whose other restaurants include Peppermill, Café Navarre, and Riccobono’s Panola St. Café. The house specializes in wine pairings and house cocktails. The menu features primarily seafood and Creole-Italian cuisine. The first Fiorella’s Café was located in the French Market from 1985 until 1999. The new location was opened by brothers Kelly and Calcie Fiorella, in honor of their father CJ. Check out their daily specials, especially the red beans and rice. Their fried chicken won “Best Fried Chicken” at the National Fried Chicken Festival two years in a row! Bao & Noodle is a Marigny gem that serves regional Chinese cuisine. For a perfect dish to share, try the cumin braised lamb with hand-pulled Biang Biang noodles. Bao & Noodle was opened in 2014 by Herbsaint alum Doug Crowell and his wife Asia Wong. If you live in the Marigny or Bywater, they’ll deliver for free. Buffa’s Bar and Restaurant has been serving 24/7 since 1939. Every Wednesday, Buffa’s hosts an Open Mic Night from 7 p.m.-10 p.m.
Their Back Room hosts musical entertainment nearly every night of the week. Buffa’s has been named one of the 50 Best Jazz Clubs in America. Check out their Sunday Jazz brunch with Dixieland band Some Like it Hot. Jack Dempsey’s is a Bywater staple known for huge steaks and boiled seafood. The restaurant is named after Richard “Jack” Dempsey, a New Orleans police reporter for the States-Item. 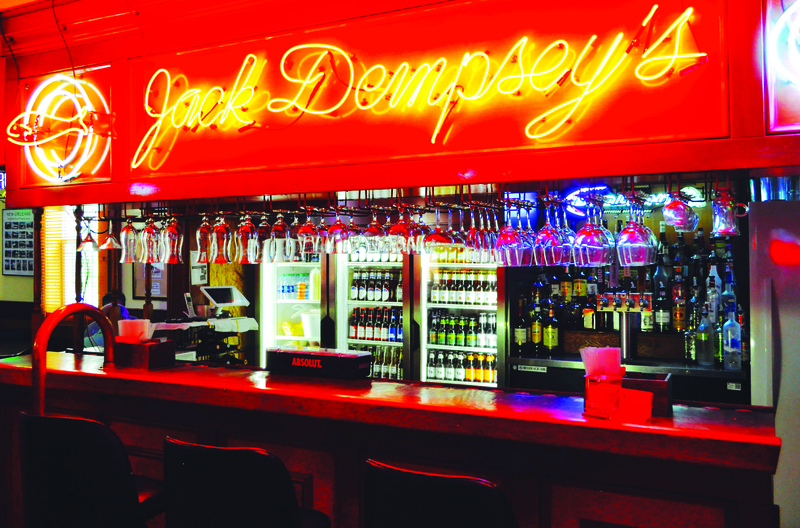 Jack Dempsey’s has been run by the Marino family since 1980. Don’t leave without trying their baked macaroni. Arguably the best holiday catering with their oyster dressing and fried turkeys. Mardi Gras Zone is a supermarket, bead shop, and restaurant all in one! Not just for Mardi Gras, it’s a great lunch spot, serving pizza and deli favorites. Entrepreneur Benny Naghi bought the space in 2000 and opened a place to buy Mardi Gras trinkets year-round. Mardi Gras Zone expanded to include groceries and prepared food in the aftermath of Hurricane Katrina. They are open 24 hours, and sell everything from packaged food and booze to international cuisine. Mimi’s in the Marigny is a bi-level bar and tapas restaurant. Fan favorites are the goat cheese-rubbed cauliflower and the lamb chops. Their menu features homegrown produce and locally sourced seafood. Their tapas menu is extensive, and the kitchen is open until 4 a.m. on the weekends! A great spot for large groups with delicious and affordable food. The Country Club delivers amazing food with indoor and outdoor dining available. One of the better Happy Hours, every day from 4 p.m. - 7 p.m.
Their newly renovated indoor space maintains the charm of this Bywater gem. Enjoy one of the best wine programs in the city with over 140 unique bottles from 13 different countries. Their weekend brunch is one to check off your New Orleans bucket list. The Praline Connection serves some of the best homestyle Cajun-Creole soul food in New Orleans. They began as a home delivery service for working women and their families. Whether to get their red beans and rice or their white beans and rice is a very difficult decision. Their pralines are made fresh daily using the old-school spoon-drip method. The St. Louis Cathedral facade and Creole cottages in the French Quarter are the inspiration behind the restaurant’s design aesthetic. One of the few true Cajun restaurants in Metairie. The restaurant's walls feature a collection of signed jerseys from famous athletes. If you can finish their seven-patty Cannon Burger in 45 minutes, you get this $50 burger for free! Bobby’s is a perfect combination of Louisiana sports and food culture. They installed 42-inch TVs in the bathroom, so you’ll never miss any of the action. Caffe! Caffe! has two gourmet coffee shops/cafés operating in Metairie. They are known for serving some of the area’s freshest gourmet coffee and espresso drinks. They also serve soups, sandwiches, salads, and pastries made in-house. Both locations now offer hot breakfast, so you can get eggs and grits made fresh daily. Voted “Best Café” by the readers of Where Y’at. This Metairie diner serves a full menu, 24 hours a day, every day. They offer more than your run-of-the-mill diner food, including Crab Cakes Benedict. Their pancakes are huge. Try them stuffed with cream cheese and chocolate chips. Voted “Best Diner” by the readers of Where Y’at Magazine from 2010-2017. They also serve beer and cocktails. In 1934, Don Landry opened his first restaurant and bar in Lafayette at age 24. Their menu to date includes traditional Landry family recipes. Their famous Zydeco Shrimp is one of their more recent original creations. The Landry family still owns and operates all six of the Don’s Seafood locations. Each location features unique, Acadiana-inspired decor and an open charbroiler. Love seafood, but want a salad? They have the best seafood salad options in the metro. They serve fresh oysters on the halfshell, charbroiled, sauteed, or baked. Carrying the tradition, Jaeger’s has been family-owned and -operated since 1948. A great place for Cajun fare and boiled seafood. Jaeger’s is a top spot to bring the family for a night of seafood or surf and turf with their great steaks. Short Stop Poboys has a huge selection of po-boys, with over 30 varieties! Their po-boys come in three sizes: small (6”), regular (9”), and king size (14”). Their counter service system moves quickly, but you can order online to beat the wait. Short Stop consistently delivers giant po-boys for reasonable prices. Grab one of their sides like the chicken fries, cole slaw, or stuffed crab. Spudly’s Super Spuds has been serving the city’s best baked potatoes for 35 years. Their menu offers a wide variety of soups, salads, burgers, and sandwiches. The favorite—the Super Duper—is loaded with crabmeat, crawfish, and shrimp. The Spudly’s staff is so welcoming, you will immediately feel like part of the family. The Catch Seafood Restaurant is Metairie’s hottest and newest seafood restaurant. The Catch has a new daily food special every Tuesday thru Saturday. They also offer fried seafood platters, blackened dishes, boiled shrimp, and more. Be sure to grab a cup of their fresh corn and crab bisque. They also offer a great kids' menu so be sure to bring the kiddos! Biscuits and Buns on Banks is a refined breakfast and lunch spot. Their unique take on classic brunch fare includes crawfish waffles and andouille sausage hash cakes. 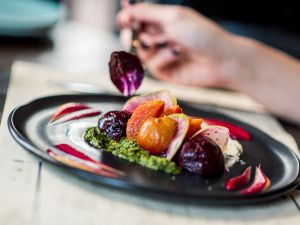 The menu is constantly changing to highlight seasonal ingredients and new, creative dishes. Biscuits and Buns was named on the “10 Best Biscuits” list by USA Today. They are featured on Eater New Orleans's “Brunch Heat” map. Café Degas is an intimate French bistro that offers $5 mimosas at their Saturday brunch. The café’s namesake is the 19th-century French Impressionist Edgar Degas. Degas stayed down the street at 2306 Esplanade Ave. during an 1872 visit to the city. Built by French artist Jacques Soulas, who sought to bring authentic French food to New Orleans. Located on an enclosed patio, with a tree growing through the middle of the dining room. Café Navarre is a laid-back lunch spot created and owned by Heather Riccobono. The café is located near Delgado Community College, making it a popular student spot. Café Navarre’s brunch is one of the most popular in Mid-City. The menu features house-made dishes from family recipes. They now have an outdoor patio and are also open for dinner, serving thin-crust artisanal pizza. Five Happiness has been recognized as the Best Chinese Restaurant by Where Y’at readers. They have been awarded the Zagat Certificate of Distinction Award. They have a variety of 20 different chicken dishes to choose from. The modern decor is sleek and chic with Asian accents. Chef specialties include the House Baked Duck or Shrimp with Honey Roasted Pecans. Ikura is a Japanese restaurant located in the space previously occupied by Little Tokyo. One of few places in New Orleans you can find sushi, ramen, and hibachi under one roof. Enjoy a great show by the talented chefs for your birthday. Their ramen bowls include variations of the classic tonkotsu-style broth. Their hibachi is served with generous sides of rice, noodles, and soup. If you’re a sushi fanatic, Mikimoto is the place to go. They offer a wide variety of sushi, sashimi, and specialty rolls for reasonable prices. Free delivery to most addresses in Mid-City, Uptown, CBD, Lakeview, and Old Metairie. The local favorite is the Geaux Saints Maki Roll. Winner of Where Y’at Magazine’s Best Sushi award in 2017. The Shamrock is New Orleans’s biggest neighborhood bar. The 16,000 square-foot space includes 23 pool tables and four ping pong cages. In addition to hundreds of games, Shamrock also features live music. The Shamrock can accommodate parties of up to 600 people. Their menu features an amazing half-pound burger and a 12-ounce choice ribeye. A local legend, Willie Mae’s was founded in the Treme in 1957. It originally operated as a bar and became a restaurant in the 1970s. Their fried chicken is unparalleled and has received national attention. Willie Mae’s serves one of the best meals for the best price in all of New Orleans. Venezia has been serving the New Orleans area for 60 years so far. They offer authentic Italian dishes, fresh seafood, and steaks. Their famous thin-crust pizza is cooked in an original stone oven. Their wait staff all have an average of 15 years of experience. They’re open Christmas Eve, so make a reservation in advance for this busy night! Voted “Best Breakfast 2017” by the readers of Where Y’at. Named one of the “Top 500 Businesses in America” by Entrepreneur Magazine in 2013. Their New Orleans locations are in the Lower Garden District, Lakeview, and now Mandeville. Try their Crawfish Skillet, Lobster & Brie Omelette, or Cinnamon Roll French Toast. Another Broken Egg cafés collectively serve about 750,000 eggs to 600,000 guests a year. Carreta’s serves authentic Mexican food with the goal of making you feel like a part of their family. They operate four locations in Metairie, Covington, Harahan, and Slidell. They are known for their burritos, taco salads, and jumbo margaritas. Though many Mexican places no longer do, they still serve complimentary chips and salsa upon seating. This family-oriented establishment also features nights of live music. Daisy Dukes delivers authentic Southern and Cajun food in a family-friendly environment. They were awarded the 2016 Certificate of Excellence by TripAdvisor. Want pancakes and oysters? You can do it here! Try their award-winning bottomless Cajun Bloody Mary, one of the best in town! They are open 24 hours a day, seven days a week, for dine-in or delivery. In 1870, Joseph Jurisch opened the first Morning Call in the French Market. One of their two locations is located in the middle of beautiful City Park. The original location closed in 1974 and was moved to Fat City in Metairie. There is live music on the weekends at the City Park location. Working the graveyard shift? They serve café au lait and beignets 24 hours a day! Reginelli’s has locations in Lakeview, Gretna, the Garden District, Poydras Street, Elmwood, Kenner, and Metairie. They have been voted “Best Pizza” by the readers of Where Y’at Magazine. More than just pizza, Reginelli’s also features amazing salads and pastas. They are a community-oriented company and offer special fundraising opportunities for local organizations. Don’t miss their $3 pints of craft beer every Monday and Tuesday. Robin’s Wharf is a new seafood restaurant on the Eden Isles waterway. Their Uptown location is yards from Touro Hospital on Prytania Street. Both locations are great places to watch the big game over a cold beer. They have a huge deck with outdoor seating. They have a reputation for excellent service in addition to great food. Tahyo Tavern is a dog-friendly bar and restaurant, with locations in Chalmette and the French Quarter. “Tahyo” is a Cajun term for a big, hungry dog. Tahyo is owned and operated by the stars of Animal Planet’s reality show, Pit Bulls & Parolees. Proceeds from the restaurant support operating costs for the Villalobos Rescue Center. For every drink sold at Tahyo, a dog is given a meal. Halal Guys began as a food cart in New York City in 1990. Founder Mohamed Abouelenein switched to serving Middle Eastern quick bites in 1992. Their most recognizable dish is chicken or gyro meat with rice. They have grown into an international franchise with over 200 locations. Open until midnight, they are a late-night snack go-to. The Ruby Slipper operates multiple locations in New Orleans, Baton Rouge, Florida, and Alabama. Check out their holiday drink specials, including the amazing blood orange margarita. Food critic Tom Fitzmorris deemed them “Worth Crossing Town For” in 2010. Their brunch menu incorporates local favorites such as Bananas Foster Pain Perdu. They are open every day besides Thanksgiving, Christmas, and Mardi Gras. Vincent’s was founded in 1989 by New Orleans native Vincent Catalanotto. Catalanotto prides himself on serving delicious Sicilian cuisine like he grew up eating. Make a reservation on the weekends as this popular spot fills up quickly! Try their famous corn and crab bisque, served in a toasted bread bowl. The house specialty is the veal- and spinach-stuffed cannelloni. Charlie’s serves some of the best gumbo in New Orleans. Charlie’s is known for their great catering for weddings. 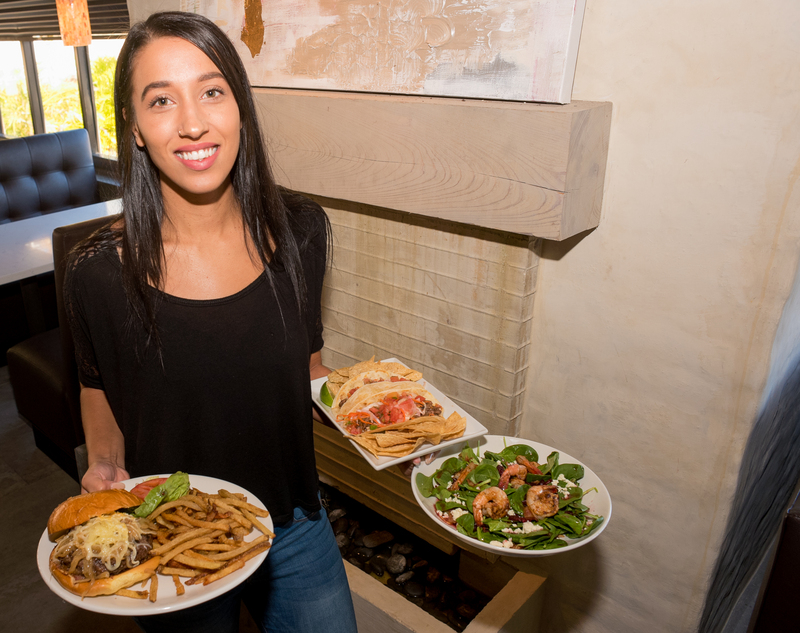 With over 300 menu items, you’ll find something for everyone! Just a 15-minute drive from the Quarter, Charlie’s is worth the trip. Charlie’s offers holiday turkeys with all of the sides. Apolline serves up modern Louisiana dishes made with local ingredients. They are open for brunch Tuesdays thru Sundays until 2 p.m. and offer bottomless mimosas! Their Happy Hour every Tuesday thru Friday from 5 - 6 p.m. has a variety of drink and small plate specials. Located in a renovated double-shotgun cottage, giving you the feeling of being at home. Their New Year’s prix-fixe dinner menu includes a complimentary glass of champagne. Beat the Bayou Beast Hot Wing Challenge and win a free t-shirt! The challenge requires eating 10 fiery wings in five minutes max, without any drinks or napkins. They appeared in a wing episode of Travel Channel’s Man vs. Food Nation. They have one of the hottest chicken wings in the city, according to Eater. Their chicken is seasoned and brined for 24 hours to maximize flavor. It's located inside The Pontchartrain Hotel, so get a room upstairs and you’ll be home! Grab a drink after dinner at The Bayou Bar to hear great songs from Phil Melancon. The Caribbean Room features one of the best brunches in the city. Don’t leave without ordering their famous Mile High Pie. Visit the rooftop bar Hot Tin before dinner for an incredible view of the city. Flying Pig Café’s Southern-centric menu is also inspired by Caribbean, Latin, and Asian flavors. If you can’t find something among their constantly changing lunch and dinner specials, try brunch. Their operating mantra is “scratch made” and it can be tasted in every bite. Owner Kat Vance can be heard on New Orleans's classic rock station Bayou 95.7. House specialties are the Shrimp and Grits and Caribbean-Style Fried Chicken. In 2008, Green Tea moved to New Orleans from its original location in NYC. They offer wonderful healthy options prepared with vegetable oil. Their new location on Napoleon Avenue includes a full bar and can seat 80 people. Customer favorites are the lo mein and General Tso’s Chicken. Good for late-night dining, it’s open until 11 p.m. Fridays and Saturdays. Joey K’s is a family-owned Uptown eatery serving New Orleans comfort food. Many of their dishes, like the Shrimp Magazine and Trout Tchoupitoulas, are named after streets around the city. They were featured on the Food Network show Diners, Drive-Ins, and Dives, hosted by Guy Fieri. Try a giant, ice-cold, 18-ounce beer in a frosty mug. House specialties are the Eggplant Napoleon and fried chicken. La Casita’s outdoor seating is a great way to enjoy the cooler weather. They feature a daily Happy Hour from 3 – 7 p.m.
Don’t miss their 2-for-1 margaritas every Wednesday from 7 – 10 p.m.
Look for their new location opening soon in the Warehouse District. Don’t leave without an order of their house-made churros for dessert! La Thai offers authentic Thai cuisine in a fun and inviting atmosphere. Chef Diana Chauvin founded La Thai to reflect her Thai & Louisiana roots. La Thai now offers lunch at 11 a.m. on Thursdays and Fridays. They have been voted “Best Thai Restaurant” by Where Y’at readers for nine years running. Whether you’re hosting a private party or providing catering, La Thai has you covered. All of the kabobs at Lebanon’s are cooked on skewers above a charcoal grill. They serve a spectrum of Middle Eastern cuisine, from hummus to kabobs. Fan favorites are the creamy hummus, chicken shawarma, and rosemary lamb chops. Their extensive menu is complemented by reasonable prices. Lebanon’s is BYOB, so bring in your favorite bottle to go with their excellent food. Liberty Cheesesteaks’s founders Mike and Joe met in 2001 while attending Tulane. Mike, a Philly native, dreamed of opening a cheesesteak restaurant in New Orleans. The bread is imported from Philadelphia. They now serve beer and wine. They’ve expanded to the corner of Freret and Soniat. Opening at 6 a.m., Maple Street Patisserie is a great spot for early risers. The shop features two world class European bakers in Chef Ziggy and Chef Sullivan. Maple Street Patisserie makes a variety of delicious pies for your holiday needs. They offer great catering options for any wedding or office party. Maple Street Patisserie will soon be selling some of the city’s best king cakes! A fantastic Japanese seafood, sushi, and steak restaurant with a great view of St. Charles Avenue. Their 8,000 square-foot restaurant can accommodate parties of up to 70 people. The hibachi grill offers guests dinner and a show—watch for flying shrimp! Try one their featured “Sushi Rolls of the Week” for a creative and delicious meal. Be sure to try one of their fantastic cocktails like the Mikyako Chokotini. Origami offers a unique fusion of Japanese and Southern food that is packed with flavor. Their traditional Japanese offerings are infused with local and seasonal ingredients. They serve some of the best sushi in town, and we also recommend the poke salad. Their knowledgeable staff can find the perfect wine or sake pairing for your meal. All of their seafood is sustainably sourced and received fresh daily. Pascal Manale’s has been a New Orleans institution for over 100 years. Get $20 back when you buy $100 worth of gift cards! Grab a dozen raw from their stand-up oyster bar before your meal. Their BBQ shrimp has achieved national fame as one of New Orleans’s classic dishes. They also specialize in seafood, traditional Italian dishes, and succulent steaks. This Magazine Street newcomer serves great Middle Eastern cuisine. Pita Hut Plus is a great spot for vegetarians as their falafel is fantastic! Try an order of their amazing Kulaje for dessert. The owners of Pita Hut Plus will greet you as if you are part of their family. Open until 10 p.m., Pita Hut Plus is a great spot for dinner before a night on the town. Poseidon offers a variety of seafood, but their specialities are oysters and sushi. Open until midnight (2 a.m. Fridays and Saturdays), they are one of the few late-night sit-down restaurants. Their take-out is just as fresh as dining in. Their menu features nearly 30 signature sushi rolls, including the Hurricane and Black and Gold. After dinner, check out one of their private karaoke rooms. Pyramids Café is an Uptown spot serving healthy and authentic Middle Eastern cuisine. Located just across from Tulane University, Pyramids is a popular spot with students. Vegetarians swear that their eggplant sandwich is one of the best in town. Their delivery is highly recommended for both speed and quality. For dine-in customers, they offer free cable TV and Wi-fi. 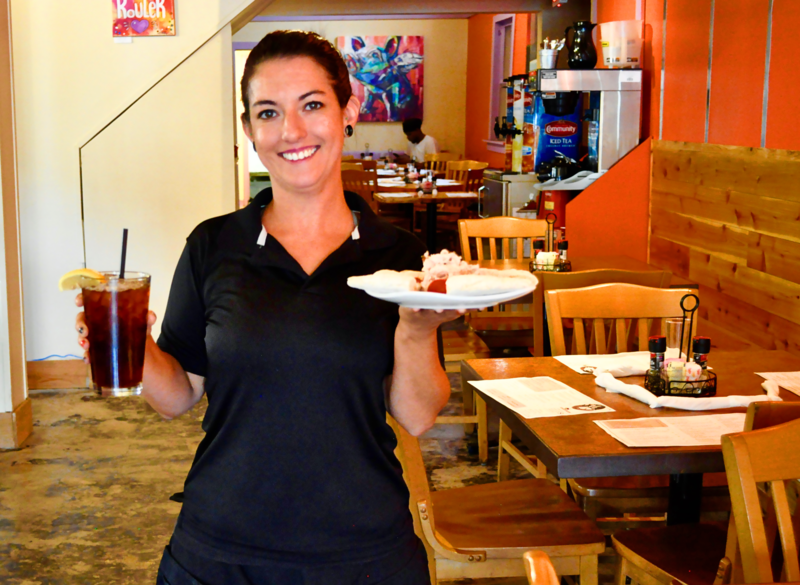 Riccobono’s Panola Street Café is a brunch and lunch hotspot open only until 2 p.m. Since opening, they have become a fixture for Tulane students and Uptowners alike. They serve breakfast and brunch favorites like a Crabcake Benedict and Crawfish Omelet. Every weekday features a different hot plate lunch special. Skip the Bloody Mary and mimosa during brunch, and opt for their bellini instead. Built in 1883, The Columns is listed in the National Register of Historic Places. The hotel was designed by New Orleans architect Thomas Sully. The Columns has Happy Hour every day, 5 p.m. to 7 p.m., as well as Sunday jazz brunch. The Victorian Lounge is a bar with outdoor patio seating and a small plates menu. Tito’s Ceviche & Pisco is a new Peruvian restaurant located Uptown. The restaurant’s owner, John Lock, is originally from Lima, Peru. Their menu is built on traditional dishes such as lomo saltado and ceviche criollo. “Lomo Saltado” is stir-fried beef tenderloin with sauteed onions served with crispy potatoes. The bar features nearly 50 varieties of Peruvian pisco. Established in 1949, Tracey’s is the original Irish Channel bar. Hugh Tracey, Jr. founded the bar and helped originate the frozen beer glass in New Orleans. 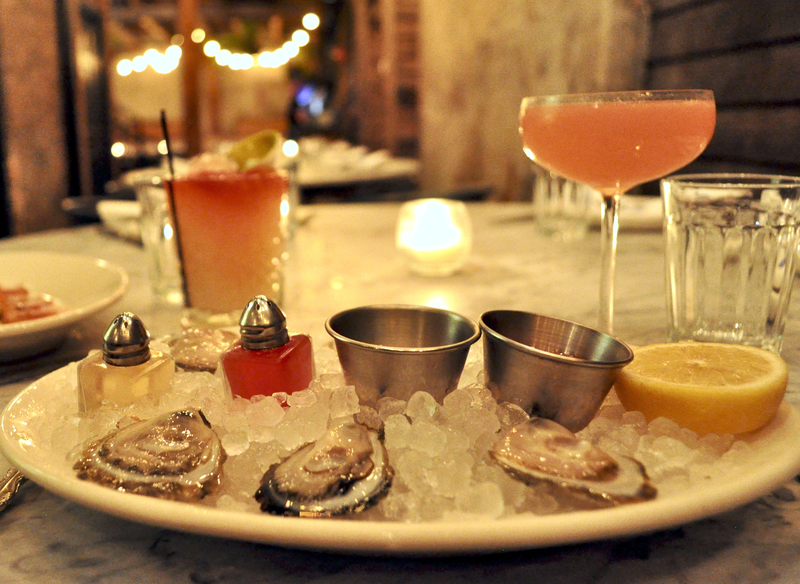 You can get their shucked-to-order oysters for $1 on Mondays! Other daily specials include Burgers and Trivia on Tuesday and $0.50 wings on Wednesday. They also have a pool table and over 20 TVs offering non-stop broadcasting. Seed offers vegan options of classic comfort food, ranging from nachos to gumbo. They encourage sustainable dining through recycled menus, available compost, and solar-power energy. A portion of the restaurant’s proceeds are donated to Project Orangutan and the Humane Society of Louisiana. Seed’s food uses high-quality local, organic, and natural ingredients. House specialties include the eggplant po-boy and Southern fried tofu. Briquette is a newly-opened upscale seafood restaurant in the warehouse district. Head chef Robert Vasquez formerly ran the restaurant Opal Basil in Mandeville. The Briquette menu features Opal Basil favorites, including the lobster tamale and deep-fried deviled egg. Originally from Arizona, Vasquez introduces Southwestern flavors to Gulf Coast cuisine. The kitchen is open to dining-room viewing behind glass. Café Carmo is devoted to sustainability, and uses many biodegradable and compostable products. Their menu features dishes and specials from around the tropics. They are committed to providing dishes for vegans, vegetarians, and omnivores alike. Their Japanese shima sashimi and Peruvian tiradito are made from the freshest seafood. 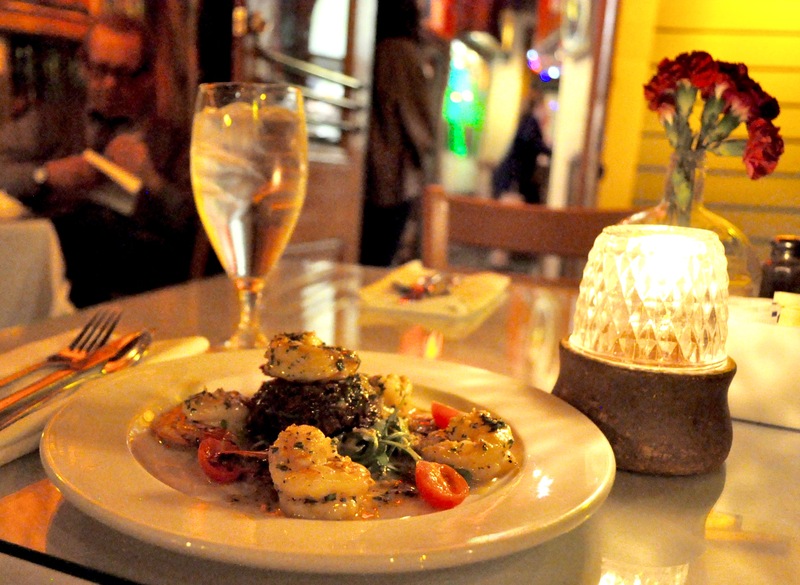 Café Carmo holds the only three-star rating in Louisiana by the Green Restaurant Association. 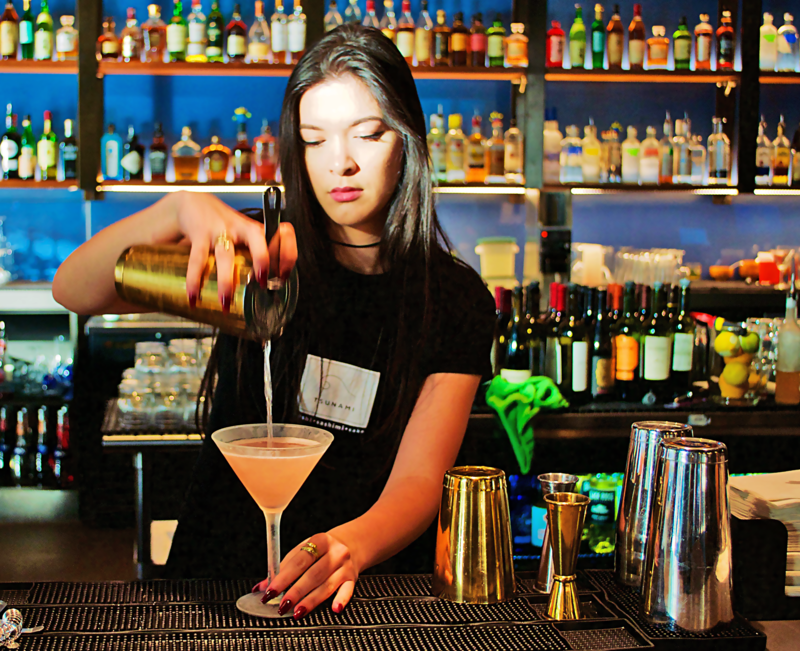 Compère Lapin features award-winning head mixologist Abigail Gullo. This Caribbean-inspired eatery is located in the Warehouse District’s Old No. 77 Hotel. Chef Nina Compton was nominated in 2017 for the James Beard Best Chef: South award. Standout dishes include the conch croquettes, crudo special, and curried goat. The first Gordon Biersch opened on July 6, 1988, in Palo Alto, California. Grab a seat on their outdoor patio on Fulton Street to see the faux snow. This brew-pub is famous for their German lagers and fantastic beer flights. The Gordon Biersch beer has won awards at the World Beer Cup. Don’t miss their famous garlic fries—arguably the best French fries in town! Josephine Estelle is an Italian restaurant adjacent to the amazing Ace Hotel. The restaurant is named after the daughters of chefs Andy Ticer and Michael Hudman. Their menu features a unique combination of Italian recipes and Southern flavor. The restaurant includes homemade pastas made from family recipes. The first Monday of the month, they feature a chef’s selection served family-style for $35. The original Opal Basil was in Mandeville before moving to the Warehouse District. The new location is located next to sister restaurant Briquette. Check out their prepared food next time you’re in a pinch for a meal on-the-go. Opal Basil is described as a “casual, neighborhood café,” perfect any time of day. In the evening, Opal Basil transforms into an intimate wine and tapas bar. Picayune Social House is a new American gastropub located in the CBD. Their Happy Hour is daily from 3-7 p.m., and includes half-price breads and spreads. Located in the original Times-Picayune building and featuring a mural depicting the old newsroom. The building is also filled with postcards and front pages from the newspaper’s heyday. They offer several innovative house cocktails, available for $5 during Happy Hour. Poppy’s is a sports bar and grill located on Spanish Plaza. Their bar offers a selection of 20 beers on tap and includes great craft beers. They have 21 big-screen TVs, perfect for watching Saints games. Their specialty drink “Voodoo Juice” is best enjoyed sitting on the patio by the Mississippi River. Try the “Category 5” Hurricane for a strong drink, so please don’t drive afterward! Public Service is a “New Southern” restaurant that honors the civic spirit of NOPSI. NOPSI is the New Orleans Public Service Inc., which used to be the local utility and transportation company. 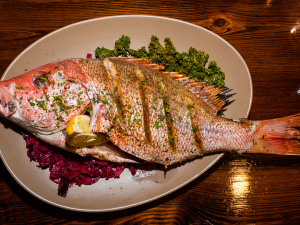 The elevated comfort food on the menu is inspired by the Gulf Coast’s fishermen and farmers. 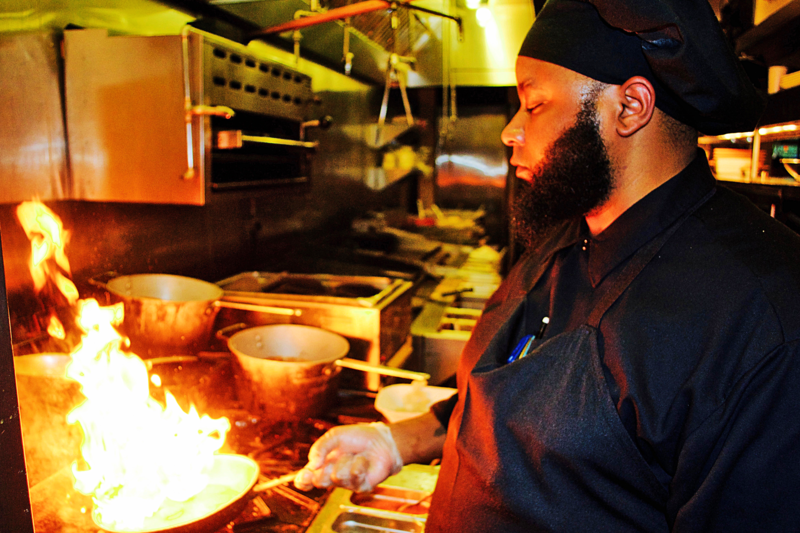 Their open kitchen is accentuated with a modern raw bar and open-flame rotisserie. The restaurant is located in the “Gold Building” adjacent to the NOPSI Hotel. Red Gravy is a CBD bistro that delivers rustic Italian cuisine using fresh and local ingredients. Several menu items are named after the friends and family of chef-owner Roseann Melisi Rostoker. Red Gravy is known as having some of the best pasta in town. They have been rated #1 for Brunch, Italian, Casual Dining, and Neighborhood Restaurant. Enjoy the cannoli pancakes or pecan waffles in the “colourful and kitschy” dining. Seaworthy can be found in an 1832 Creole cottage next to Ace Hotel. Their oysters are wild-caught and sustainably harvested. Their menu also features locally sourced fish and game. Their prix fixe “Crew Mess” ($29.90) is priced according to their coordinates. They offer artisanal, proprietary, and classic cocktails. Tsunami is a Japanese-American fusion restaurant opened earlier this year. So many great sushi rolls to choose from! The Ragin Cajun roll has alligator and avocado. Tsunami’s atmosphere is described as funky-meets-fancy. Their popular bar is a great place to “see and be seen” while sipping innovative cocktails. Artful plates accentuate their seafood-focused dishes. Viet Orleans Bistro is a Vietnamese and sushi restaurant popular for lunch. They offer tofu pho and vegetable sushi as options for vegetarians. Customers recommend their wonderful roll creations like the Streetcar Roll. Viet Orleans is the perfect spot for those on a budget, with affordable options for all. Have a glass of their amazing Vietnamese iced coffee to accompany your meal. The Whistle Monsta gets ready here for almost all of the Saints home games. The perfect meeting location, just yards from the French Quarter and Warehouse District. You can’t go thirsty with all of their beers on tap. Their custom sauces are influenced by flavors from around the world. Is it before 11 a.m.? They’re open for both breakfast and brunch, including a buffet! Gattuso’s is a laid-back bar and grill in the Gretna Historical District. Ladies drink for free between 4 and 9 p.m. on Wednesdays. Their dog-friendly outdoor patio is the perfect place to spend a beautiful afternoon. They host a trivia night on Tuesdays starting at 7 p.m.
Other daily specials include $5 burgers on Thursdays, and live music Fridays and Saturdays.